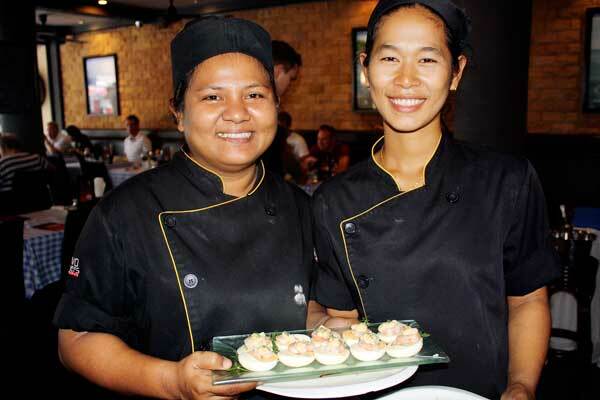 PHUKET: Cudos Restaurant & Bar in Surin has introduced revamped, affordable tapas to its menu. 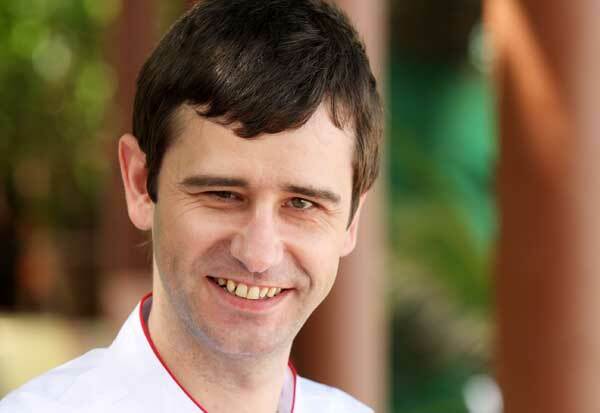 The venue opened nearly one year ago and is located next to the Surin Plaza.Owners Angus Keeling and Orawan Ramsay, who also work as Phuket-based property consultants, have put a lot of effort into redesigning the menu, which will be in place until the next high season. Tapas include 21 different Mediterranean-style dishes including grilled duck breast with spicy onion salsa, calamari fritter with aioli, spicy meatball with rocket and parmesan, and chicken ham and leek croquettes, priced mostly around the B200 mark per dish. On Friday and Saturday evenings, DJ Kensho plays.Cudos Restaurant & Bar, 117 Moo 3, Srisoonthorn Road, Cherng Talay (next to Surin Plaza), 076-386-598; cudosrestaurant.com. Open Mon-Sat 5pm till late. Takeaway menu available. 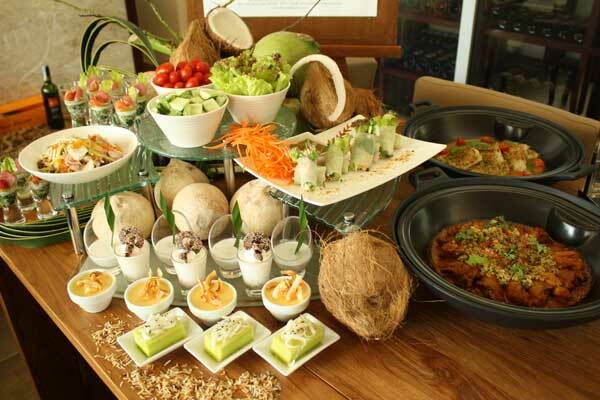 PHUKET: For those who are after a healthy food option when dining at a Thai restaurant, consider ordering khao yam – a salad dish consisting of steamed rice, vegetables, and a special salty, sweet sauce named nam budu. 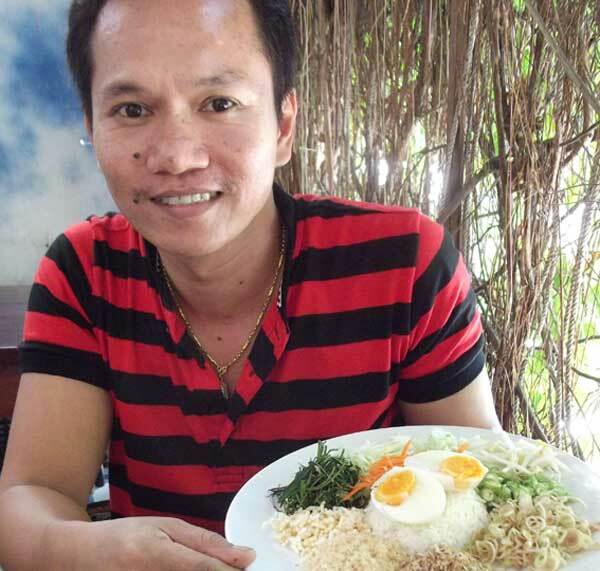 Popular across southern Thailand, one of the best places to try this in Phuket is at Khao Yam Songkhla, owned and run by Amnuay Pijit, which is located on New Dibuk Rd, opposite Dibuk Guesthouse. In operation for more than 13 years, the recipe he uses has been passed down from his wife’s family. Raw ingredients include roasted coconuts, dry shrimp, green mango slices, cucumber slices, string beans, lemongrass slices, pepper, bean sprouts and boiled egg. Steamed rice is served too. The ingredients of the nam budu sauce include ground shallots, garlic, galangal (blue ginger), lemongrass, kaffir lime leaves, plus sugar and fish sauce. All ingredients are boiled together for two hours, then filtered. This leaves the nam budu with a salty and sweet taste. Mr Amnuay said he sometimes adds ground chilli to the sauce to give it flavour, and he always makes sure the vegetables are fresh. 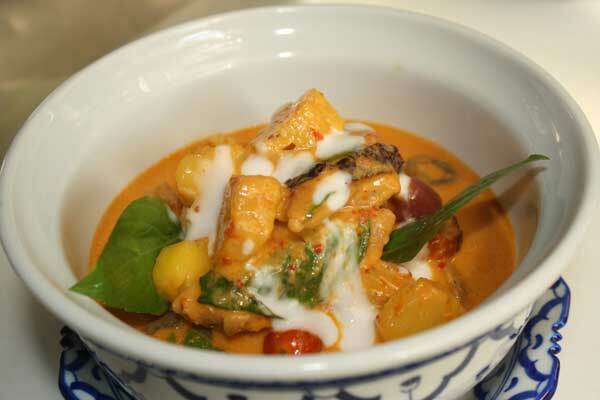 Khao Yam Songkhla is open Mon-Fri, 8am-3pm. Call 089-867-6765 for more info. 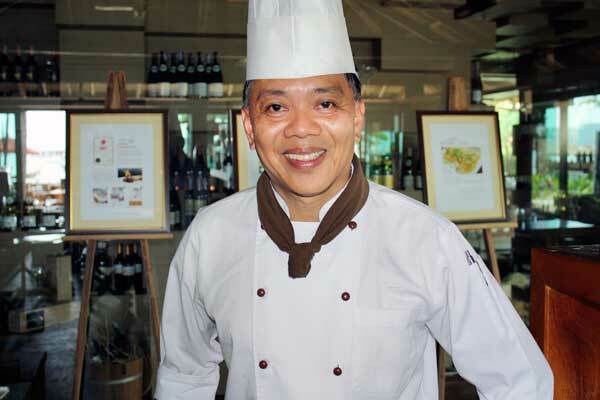 PHUKET: Following on the heels of a successful wine dinner at Mom Tri’s Villa Royale in Kata Noi, head chef Darren Wiper spoke to The Phuket News about the work involved in creating the perfect menu. How long have you worked at Mom Tri’s? I have been working for Mom Tri nearly four years now. Prior to that I spent three years in Bermuda at a fine dining Mediterranean restaurant and wine bar, and before that three years in the south of France in a small 11th-century medieval village on the Côte d’Azur. 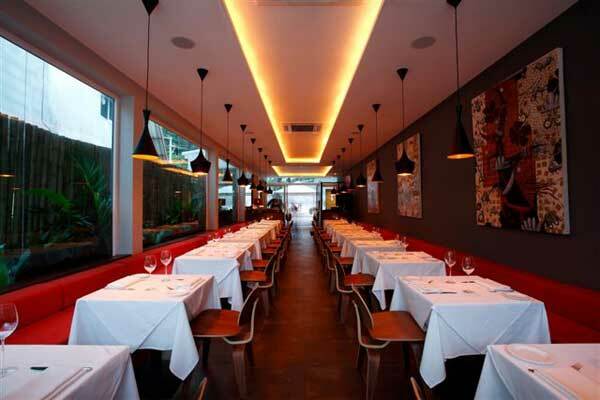 If I had to specify my cooking style, I would say French cuisine with a contemporary element. 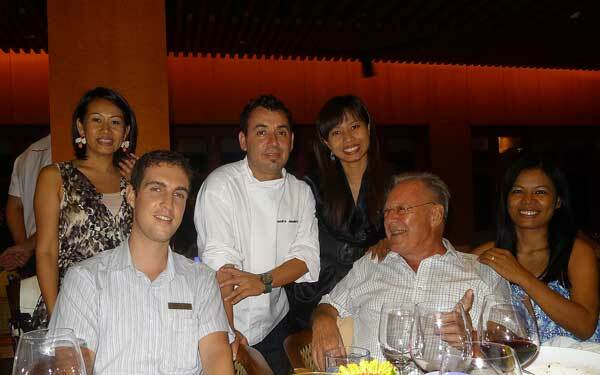 What is involved in creating a successful wine dinner? It is very important that the food and wine go up in stages with each course.Strong intense flavours with the food should be paired with a more full-bodied wine. The first thing is consulting with the wine director who points out the characteristics of the wine. He will suggest what flavours or ingredients will bring out the best for the wine. Often with our wine dinners the wine is selected by the wine companies or distributors, then we must pair the food to the wine. If the wine dinner has a theme we must also match the food to the theme. For example, for our latest wine dinner we had New Zealand wines so we served lamb.Once I have finalised a menu I pass it to Georges Ciret, our wine director. What is your absolutely favourite dish to cook? I prefer braised slow cooked meats such as pork belly, lamb shank or veal cheek stew. These are more homely cuts of meat but can still be made into refined restaurant dishes. What is your signature dish at Mom Tri’s? Pork belly and sea scallop with a curried pumpkin puree, rhubarb and ginger chutney (B890++). Pork belly is a classic home cooked dish which we serve with a restaurant twist and presentation. 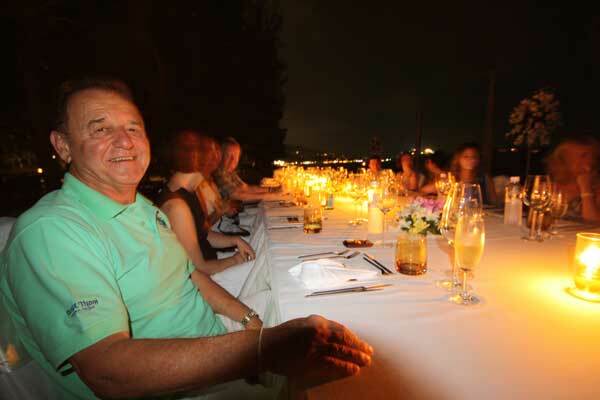 PHUKET: Pip Austin, General Manager of New Zealand’s Asia Pacific Sileni Estates wine company, was in Phuket last week to host a wine dinner in conjunction with Mom Tri’s Villa Royale in Kata Noi. 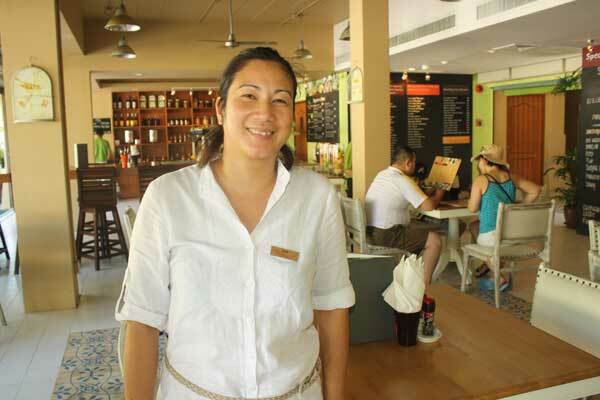 She spoke to The Phuket News about the company’s ambitions and increasing involvement in Phuket. 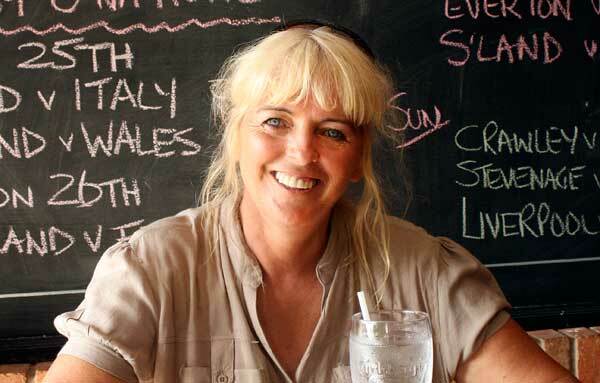 Tell us about Sileni Based in Hawke’s Bay, New Zealand, Sileni was founded by the Avery and Edmonds families. Graeme Avery’s former business was medical and pharmaceutical publishing, however his great love of wine led him to establish Sileni Estates with winemaker Grant Edmonds in the Hawke’s Bay area in 1997. 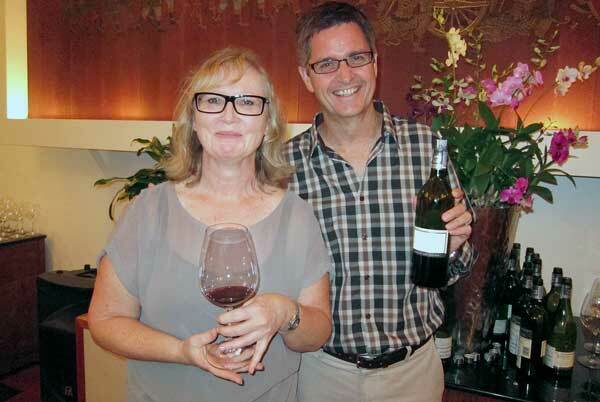 Grant was the former chief winemaker of the Villa Maria Group (New Zealand’s second largest winery). Sileni’s first vintage was in 1998, and until 2002 all of Sileni’s wines were made from its own vineyards in Hawke’s Bay. In that year though, Sileni started making Sauvignon Blanc in Marlborough today is New Zealand’s 8th largest wine company, currently exporting to 60 international markets. What wines does Sileni specialise in? The classic French varietals, including Sauvignon Blanc, Semillon, Pinot Gris, Chardonnay, Pinot Noir, Cabernet Franc, Merlot and Syrah. All of Sileni’s wines, with the exception of the Marlborough Sauvignon Blanc, are grown in Hawke’s Bay and are characterised by their food friendly style. At Sileni we like to describe our wines as having New World fruit with Old World elegance. We are also one of the founding winery members of the Sustainable Winegrowing New Zealand initiative and all of Sileni’s wines are sustainably made. This means that the wines are made in such a way that they have a positive impact on the environment both in the vineyard and the winery. What is Sileni Estates’ involvement in the Asian and Phuket markets? Sileni has been exporting to Asia for 10 years, and it has always been a very important market for us. As we were producing more red wines in the early years, Asia became a natural fit for us as red wine was more popular than white, and the fruit driven and elegant qualities of our wines appealed to the consumer, and worked well in the warm and humid climate. We have been exporting to Thailand for around eight years, and Phuket has always been a very strong market with many hotels featuring Sileni wines.We were one of the first New Zealand wineries to enter the Phuket market, and we see a natural fit between our wine and the relaxed alfresco lifestyle here. What are the key ingredients involved in hosting a successful wine dinner? A great wine dinner is about the wine and food matching seamlessly together.When selecting a wine to go with a particular dish it is always important to look for similar aroma, flavour and textural elements in the food. This often means that the old adage of white wine with white meat and red wine with red meat is completely incorrect. A great example of this is the barracuda fillet that was served with Sileni’s Cellar Selection Hawke’s Bay Pinot Noir at the wine dinner on Saturday evening.Normally one wouldn’t expect a white fish to be served with a Pinot Noir, however this dish includes some complementary flavours in the cauliflower and beetroot purée and the wine is featured in Pinot Noir reduction. “Le vin naît du ciel et de la terre … De l’amour qu’on lui porte (The wine is born of sky and earth … of the love that one adds to it),” said Monsieur Chapoutier, founder of the French winery, whose flavourful wines we are having pleasure sampling. 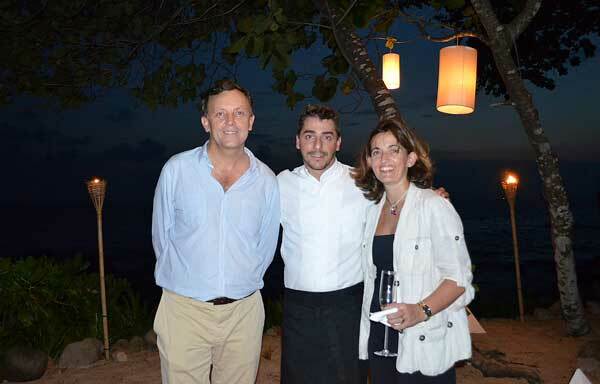 Centara Grand Beach Resort’s Mare restaurant has again arranged a well-matched combination on Friday March 9: the cookery skills of its Spanish Executive Chef Sandro Aquiler and the robust wines from the Rhône valley, watered by melted snow from the French Alps. Well might Stéphane Barlerin, Exporter Director of M. Chapoutier, be smiling broadly. His large winery exports 15 million bottles all over the world and he explains that the sometimes steep river banks of the Rhône grows excellent shiraz grapes, known for its fruity, full-bodied taste loved by many. The vineyard is also unique as it is fertilised wholely biodynamically. The fertiliser, made from burying cow dung in cow horns to cure and the solution watered strictly according to cycles of the moon, works in a homeopathic way, with a little going a long way, achieving organic results. 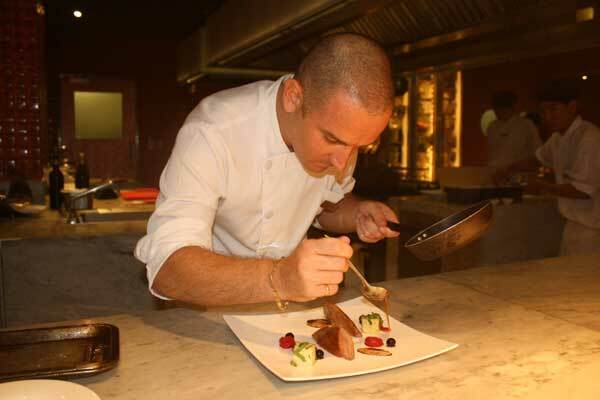 Chef Aquiler’s turns his kitchen into a French one for the night: Roasted shrimp with salad and truffle; Cod steak with cream of cauliflower and parmesan (this writer’s favourite); Bresse chicken with herbs, endive and avocado; Roast beef fillet, the Burgundy way, and exotic fruit salad. Glass after different glass of exceptionally smooth and fullsome whites and reds accompanied the fine dishes in this most satisfying culinary evening. High season has arrived in Phuket, and soon the hottest month of the year, April, will be upon us. It is the perfect time to eat something cold and sweet, and we have found the answer, delicious o aew. My mother, who is somewhat of an expert at making this Thai dessert, says the main ingredient of the iced sweet treat is o aew jelly. “O aew is very similar to jelly, but a little different. I first immerse o aew seeds in water, then mix them with banana jelly and jia gor (the Chinese name of a drying agent using magnesium sulfate). I leave it to set before then serving it with ice and sweet syrup. “I think this o aew jelly is softer, stickier and more delicious than normal jelly because it is made from natural ingredients,” she says. “But sometimes people serve regular jelly as o aew in some restaurants.” There are many ways to order the dessert, including with red bean or black grass jelly and ice, or with red syrup on the top. “It is interesting that people use colour coding to order their favourite o aew,” says mum. “People can ask for khao (white) for o aew jelly, dam (black) for black grass jelly, and daeng (red) for red bean.” O aew is very popular all across Phuket, and the original can be found only on the island. The three best places to enjoy delicious o aew are on Soi Soon Uthit on Yaowarat Rd (near the Dibuk intersection); at Dibuk intersection (inside the Loktian local food centre); and at the Cham Cha market on Ranong Rd (near Lor Rong shrine). The dessert is normally priced at B10-20. Chinese dough, or patongkoh in Thai, is a very popular local snack for breakfast or dinner alike, with many local vendors around the island found selling this delicious treat. Patongkoh is made from wheat flour, sugar, salt, water and yeast, which is then moulded into an ‘X’ shape before being cooked in hot oil. One vendor is Wanchai “Ko Chai” Wuttisom. 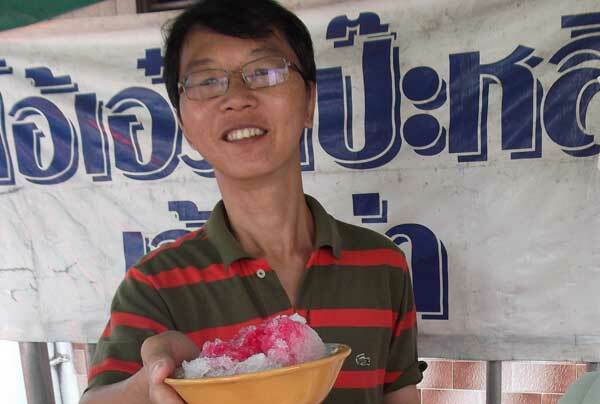 His popular stall has been open for almost 10 years. 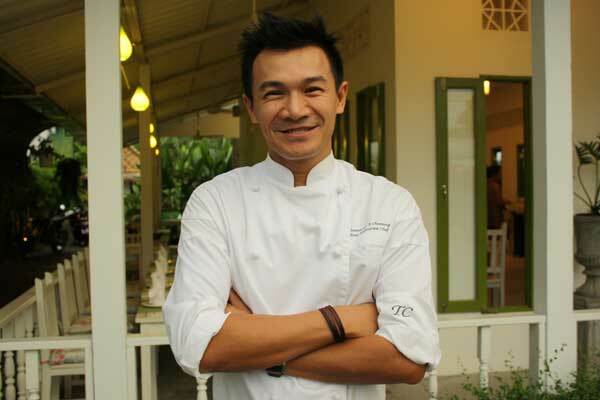 However, Ko Chai says that patongkoh is not actually the real name of Chinese dough. 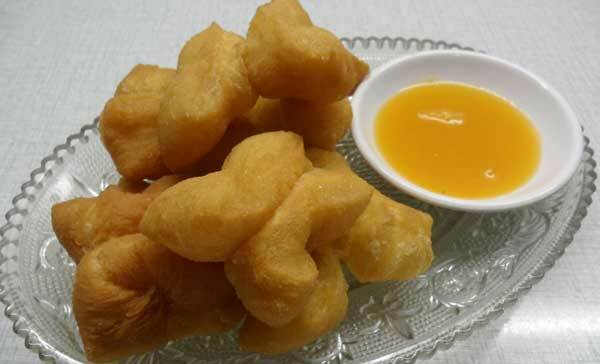 “Thai people called this Chinese dough patongkoh but it is actually not. The dish is in fact called iw chia koy or iw cha koy by Chinese people.” He says patongkoh is instead the name of a Chinese sweet candy, which is not popular but is normally sold with Chinese dough. The confusion occurs because vendors normally sell both types of snacks. “Th ‘X’ shape signifies a couple. In China, there is a story about a soldier who was revered by the local people. However, this soldier was the victim of rumours by another, evil, soldier, who spread bad words about this good man. Because of his slander, the good soldier ended up being killed in jail, which made the people very angry and upset with the evil soldier and his wife, who started the trouble. “So they began making patongkoh in an ‘X’ shape, because they believed that when the patongkoh was cooked in the hot oil, it was punishing the bad Chinese couple. 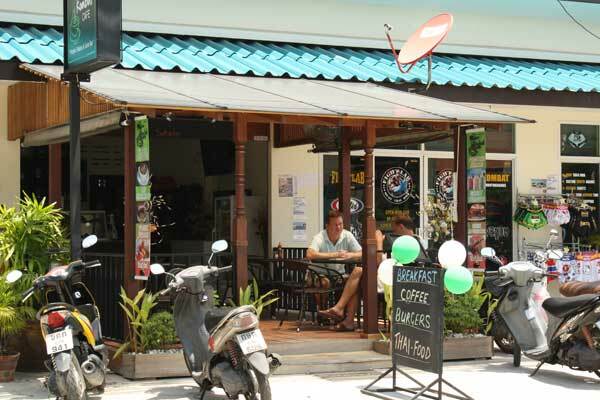 Ko Chai’s patongkoh stall is on Patipat Rd, Phuket Town, and open daily from 6pm to 3am. The price is B3 each, or B6 including a dipping sauce of either egg custard or sweetened condensed milk. PHUKET: East 88 Beach Lounge, at Serenity Resort & Residences, held the launch of their Sunday Sundowner event last weekend. 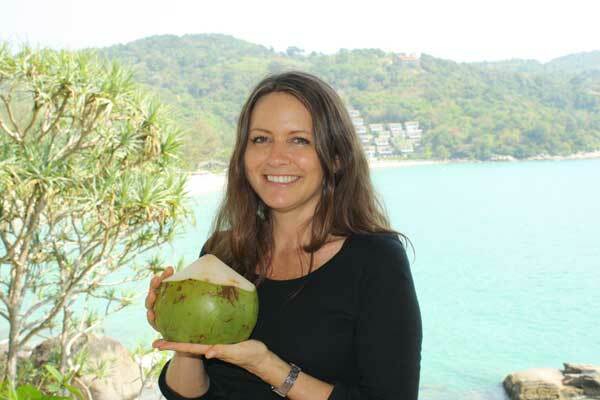 PHUKET: Local Phuket identity Claire Cookson first arrived in Phuket some seven years ago on a two-week holiday, but loved the island so much she stayed.